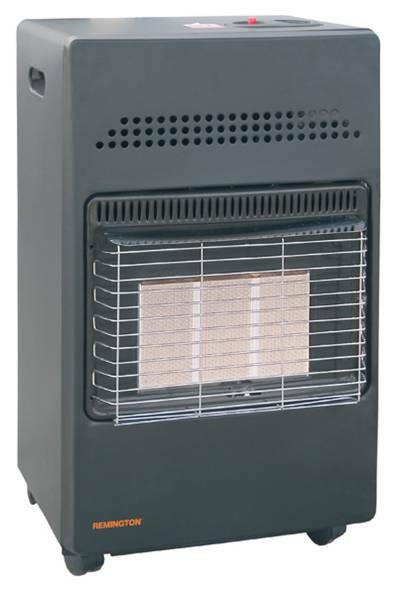 We have two types of cabinet heater, either radiant or catalytic. The radiant has an infra red output and the catalytic has no visible naked flame and works on a black heat or convection heat. Both are operated by a butane gas bottle that is extra.